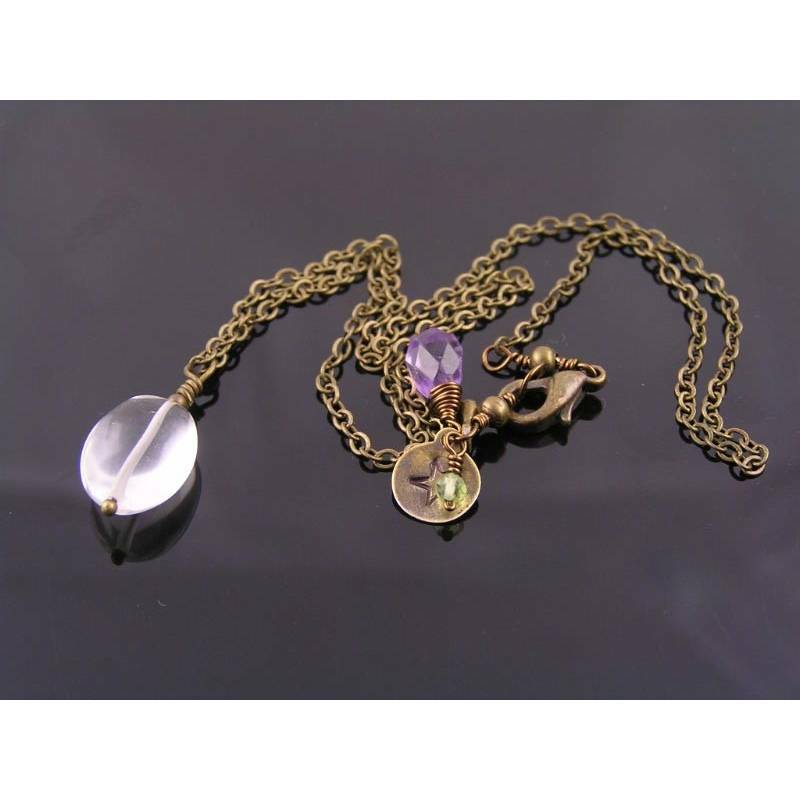 Just like a drop of rain, this Rock Quartz pebble is near eye clean and a shimmering contrast to the antiqued brass chain. 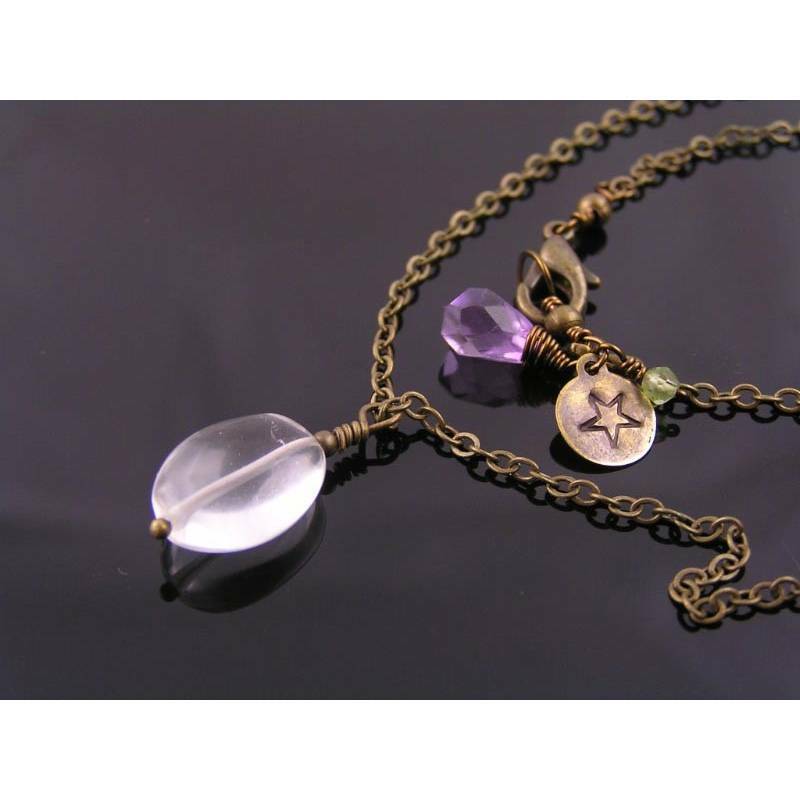 I have added a couple of dangles next to the lobster claw clasp, a faceted Amethyst drop, a tiny faceted Peridot bead, a brass drop and a small brass tag, hand stamped with a star. Perfect as a present for someone else or yourself. 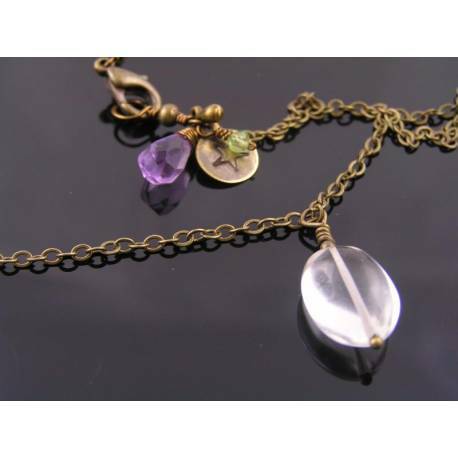 Total length is 38cm, to be worn as a short choker.